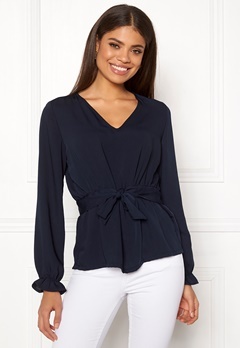 Dress up in a pretty party blouse or shirt, at Bubbleroom you will find lots of stylish party blouses in different colours. We have party blouses with beautiful patterns, sequins, glitter and chiffon. We have beautiful draped and pleated party blouses with bows and frills.